This site examines the intersection of psychology and video games. 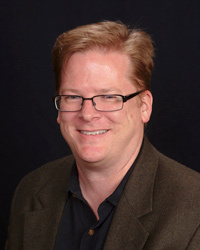 My mission is to popularize the application of psychology to creating and understanding video games. Whether you want to know about the psychology behind why good game design works, why people act and think as they do when they play games, or how those who market and sell games take advantage of psychological quirks, you’ll find something cool and interesting here. I’ve got hundreds of articles, podcasts, and lectures to share. Use them to know more about what’s going on in the heads of gamers and use that information to make better games or approach playing and buying them on your own terms. Rather than being another gaming review or opinion site, Psychology of Games has a few principles that set it apart. 1. Based on Research – I don’t just put up blustering opinion pieces, top 10 lists, or other clickbait. Every piece of content here references scientific research about psychology and neighboring fields, usually found in scientific journals. They take time to put together. What I try to do is make that research accessible to potentially anyone and figure out what it has to say or suggest about game design and player psychology. I’ll leave the p values and F statistics out, but I will always provide citations where you can find them if you want. Similarly, my podcasts feature interviews with researchers, consultants, game designers, and other experts. 3. It’s Free – It’s not just that your adblocker is working particularly well. I don’t have ads on the site, I don’t collect information to sell, and I don’t charge for any of the content here. You can have all the articles, podcasts, and lectures you want, for free. Some of you will choose to support me on Patreon in return. I almost forgot to mention that. I’ve got a Ph.D. in psychology and I’ve always played a lot of video games. Like I said, my mission in life is to popularize understanding of how psychology can be used to understand why games are made how they are and why players behave and think as they do. Finally, I’ve appeared as an expert on the psychology of video games in dozens of print, web, and radio outlets, including The Washington Post, Wired, Nature, The Atlantic, the Chicago Tribune, The Times London, BBC Radio 5, the BBC, The Guardian, Official Playstation Magazine UK, The Verge, Livescience.com, The Escapist, MMORPG.com, Kotaku, Kill Screen, The Gameological Society, Sky News HD, Polygon, and more. 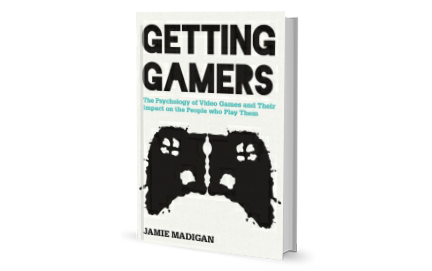 You can e-mail me at jamie@psychologyofgames.com. If you’re asking for help with an article or project, please check out my Contact FAQs first. You should follow me on Twitter: @JamieMadigan. You can also follow my Psychology of Games Facebook group.